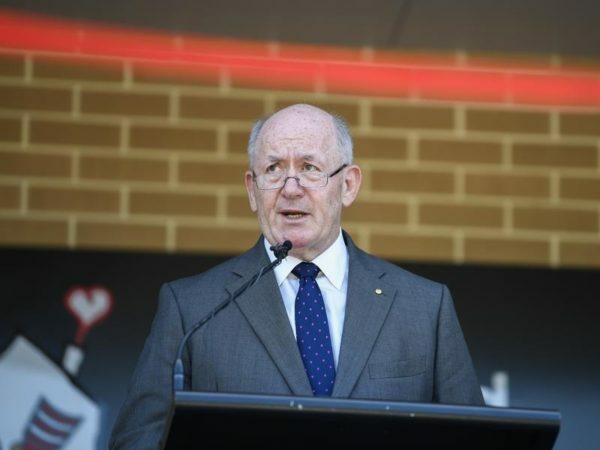 A replacement for Governor-General Sir Peter Cosgrove will be found “down the track” as he signals he will retire when his term finishes next year. Labor leader Bill Shorten has called on the government to extend Sir Peter’s tenure past the next federal election, due by May 2019, but the former defence force chief says he will step down at the end of March. “That’s when my five years is up. It’s not fixed, but if you do the job properly, at the end of five years you’re probably running out of puff a bit … after five years, the job deserves and demands new vigour,” Sir Peter told The Australian on Wednesday. Prime Minister Scott Morrison said he would consider a replacement in due course. “Sir Peter Cosgrove and Lady Cosgrove have been tremendous servants in that role and they’ve always seen themselves as servants of the Australian people in that role,” Mr Morrison told reporters in Brisbane.